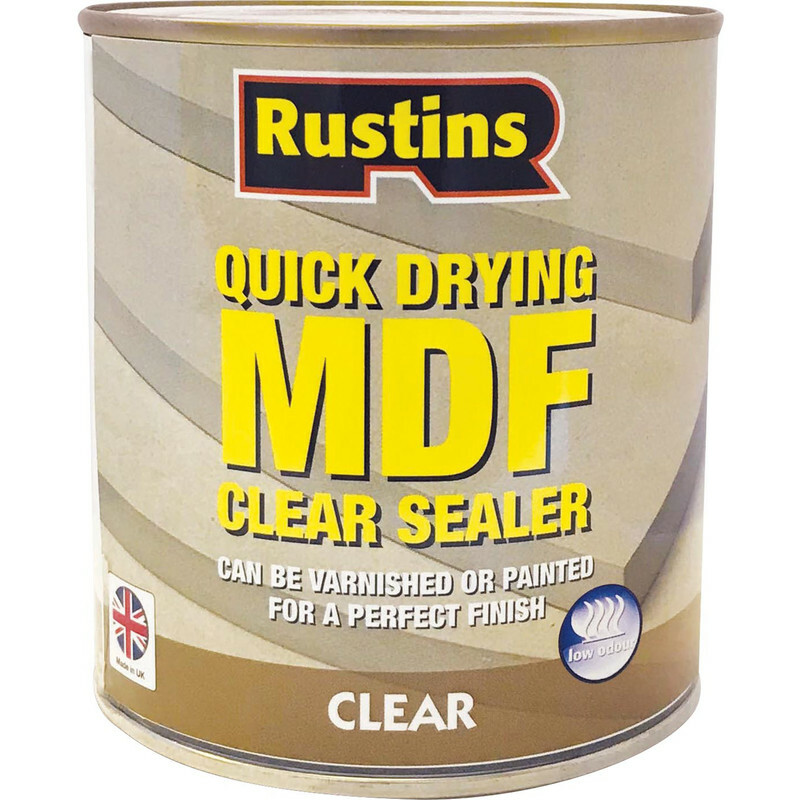 Rustins Quick Drying MDF Sealer Clear 250ml is rated 4.5 out of 5 by 2. Rated 4 out of 5 by Power786 from MDF Sealer I bought this for the bathroom panel and have used it a couple of times. So far it is doing the job but will have to see if it is waterproof. Rated 5 out of 5 by Woodworker1 from Great product Easy to apply, fast to dry and gives a nice clean finish.